These cookies are necessary to help you access and move around our site and use all its features. 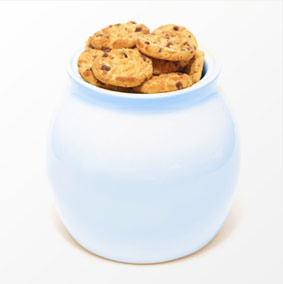 Without these cookies, our website would not work properly and you would not be able to use certain important features. For example, we use a cookie to keep you signed in during your visit, so the site does not require you to sign in repeatedly to access different pages. We also use essential cookies for fraud detection and prevention purposes. Many of the advertisements you see on the Holiday Lettings site are served by Holiday Lettings or it's service providers. But we also allow third parties to collect information about your online activities through cookies and other technologies. These third parties include (1) business partners, who collect information when you view or interact with one of their advertisements on our sites, and (2) advertising networks, which collect information about your interests when you view or interact with one of the advertisements they place on many different websites on the Internet. The information gathered by these third parties is used to make predictions about your characteristics, interests, or preferences, and send you emails; and to display advertisements both on our sites and across the Internet, tailored to your apparent interests. Most advertising networks offer you a way to opt out of advertising cookies. See www www.aboutads.info/choices/ and www.youronlinechoices.com for useful information on how to do this. Please note that, if you choose to delete Holiday Lettings cookies, your access to some functionality and areas of our website may be degraded or restricted.